It's time for me to admit something; my name is Jill and I am a Cast On-a-holic. After last week's Work in Progress I felt it was about time I sorted out exactly what I have on the go. Turns out, it's a LOT! That's not me being a luvvie - the yarn is called Darling. 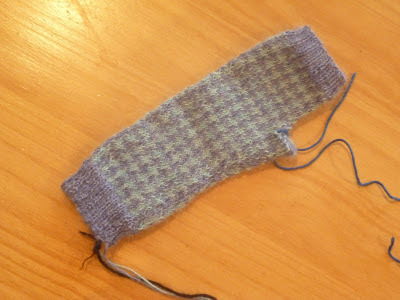 I think this is the second project I ever knit... or should I say started... I can't believe I jumped in with a 3 ply but I actually really love them and don't know why I never sewed them up. 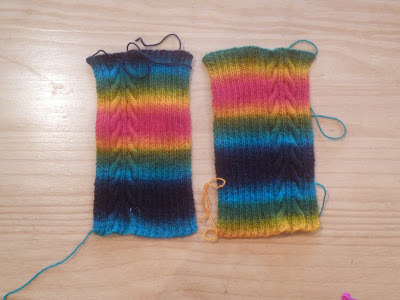 These gloves were supposed to be a birthday present for my sister whose birthday was in November (2011!). They're knit in 4 ply alpaca but this glove is too small to get your hand inside! I don't know whether this was a tension error or the lady who made the pattern just had really small hands. I think this is going to be a frog and start again job. 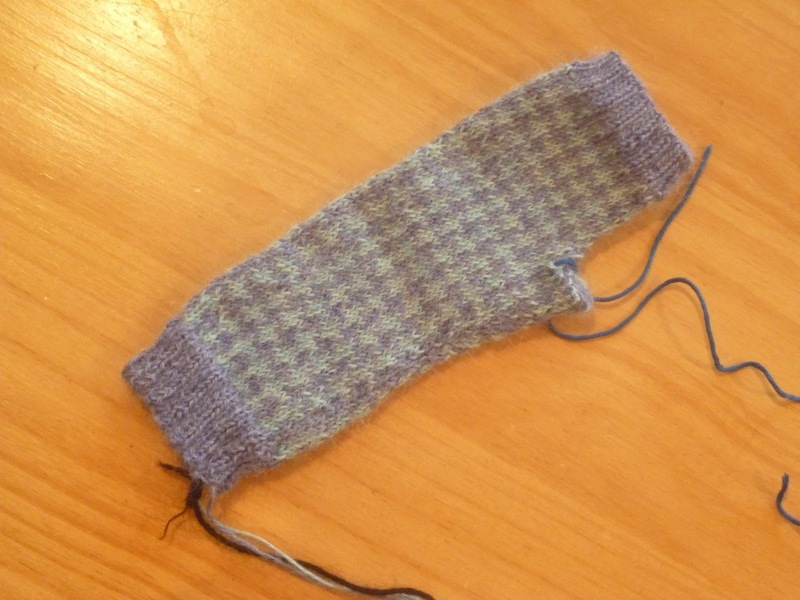 The yarn is beautifully soft and I really enjoyed the hounds-tooth pattern. I'll have to search Ravelry to find the pattern again. This scarf has been a bit of a running joke at our knitting group. 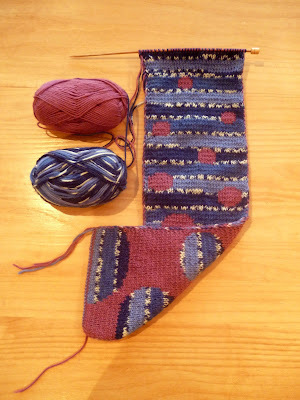 Again, a lovely project but I keep going back to it, knitting and inch or so and then getting distracted. 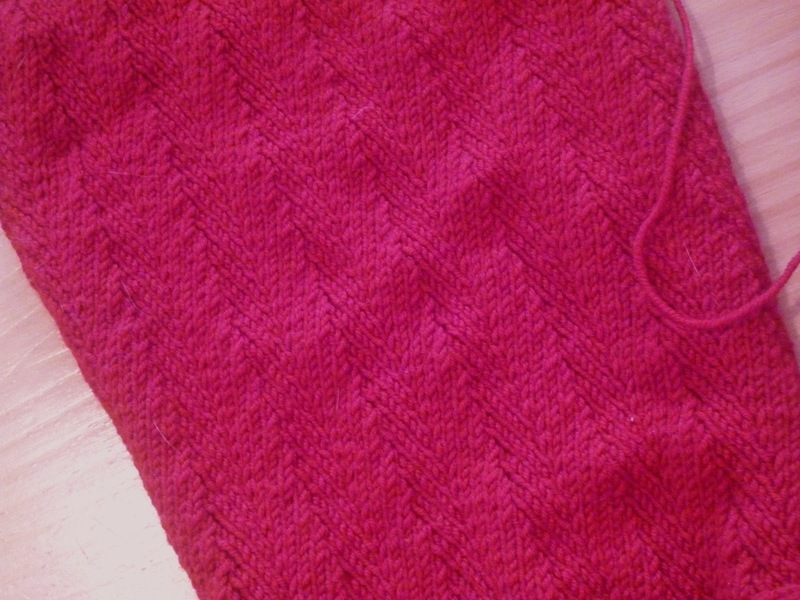 It's a simple knit really; the pattern is Red Herring by Yvonne Kao and the yarn is Debbie Bliss Cashmerino. For some reason I just can't make myself sit down and finish it! I fell in love with this pattern as soon as I saw it. It's in the Debbie Bliss Spring/Summer 2011 magazine which had a lovely collection of floral knits. 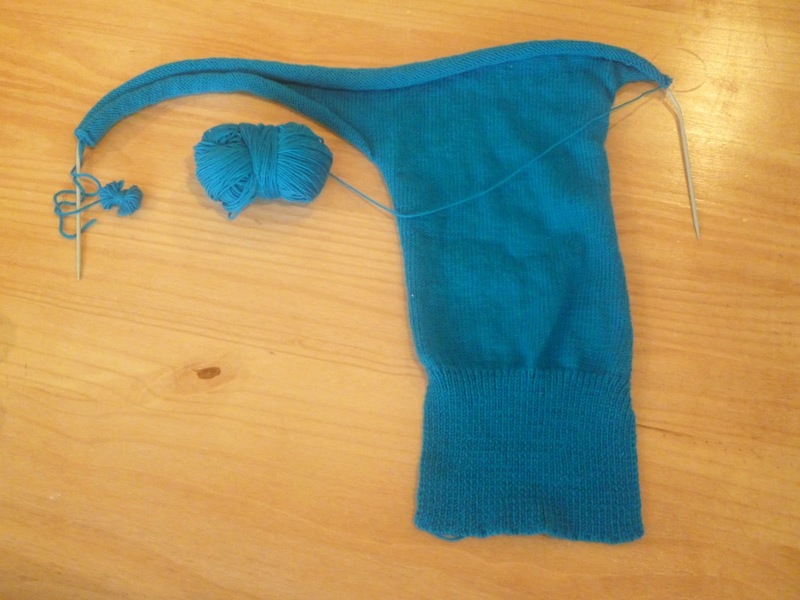 The construction is very simple with little seaming. I've completed the back. When you get to the top you are knitting from the cuff of one sleeve all the way across the back to the cuff of the other sleeve which was a bit of a trial in the 4 ply. This is the right front. I only have about 5cm left of the sleeve before the short row shaping on the shoulder. I really need to buckle down and get this one done because it would be a lovely weight for the spring. This was supposed to be completed for the Jubilee last year - oops! I think I'm going to have a bit of a palava untangling all the bobbins. That grey ball of yarn isn't even attached to the project, it obviously just wanted to join in the party! ... if you're making up a pattern as you go along, be sure to write it down as you go. Otherwise, you'll come back to it 6 months later and think "Ooo that's pretty, I wonder how I did that?" 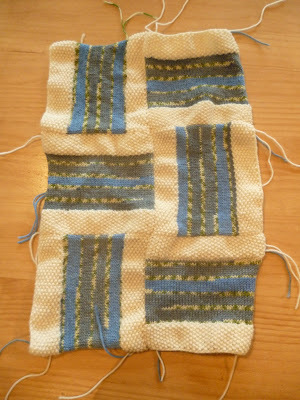 I started this blanket to showcase the King Cole Merino Prints DK which I think is a great yarn. 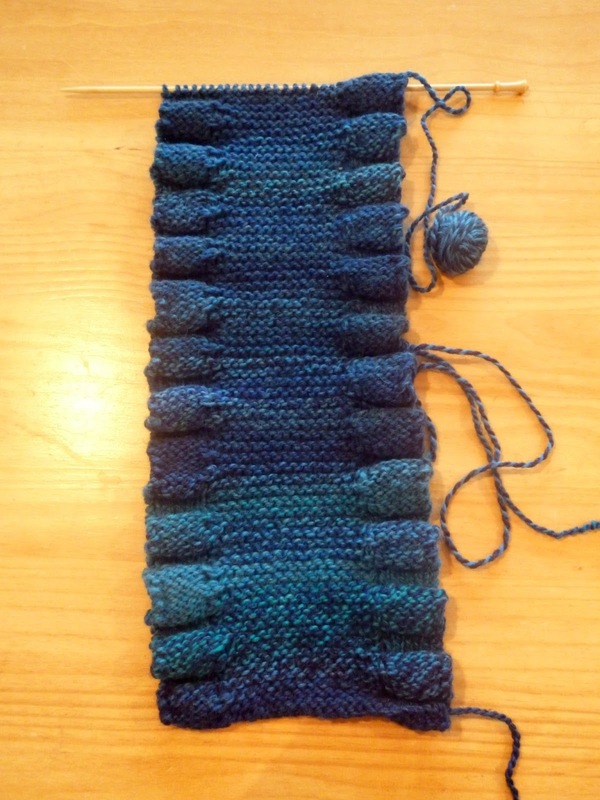 You have to love a yarn that makes it look like you've done more work than you actually have. 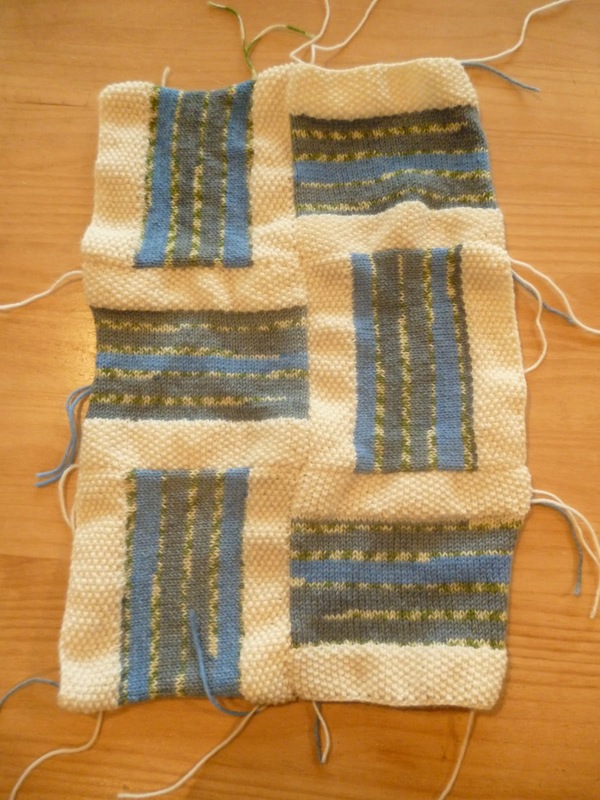 I was planning on the blanket being 3 x 4 squares so I'm halfway there. I was also going to do a pink version but people may have to use their imagination. I had completely forgotten about this project. 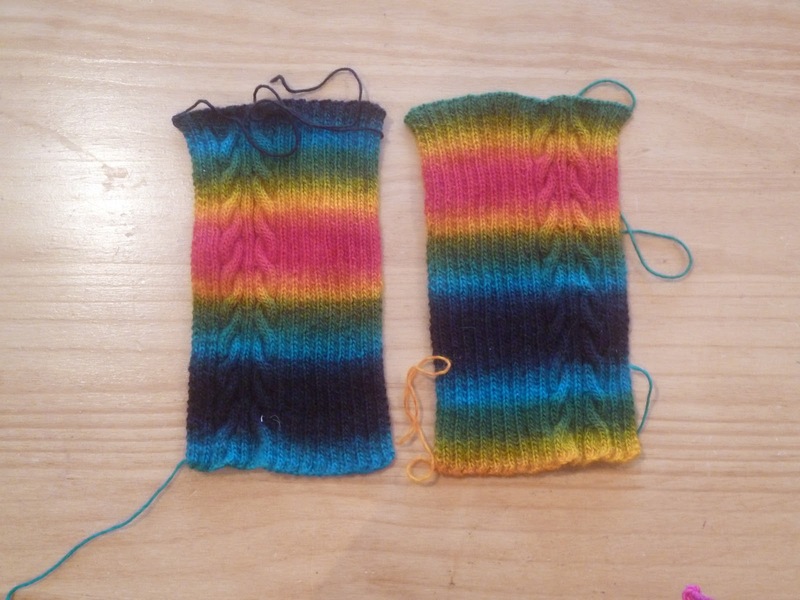 It was knitting very quickly in Sirdar Escape Chunky. 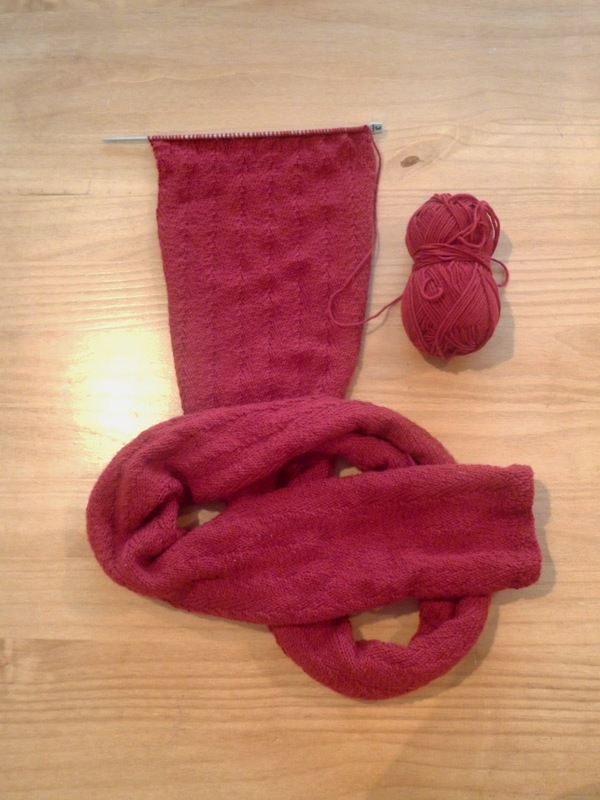 It's plain garter stitch in the centre with a little bit of stocking stitch and short-row shaping at the edges to give it the frill. I'm not sure why this one ground to a halt. Unsurprising considering I hadn't even remembered it was there until I emptied my project bags out! I've been a little but batter with this scarf. 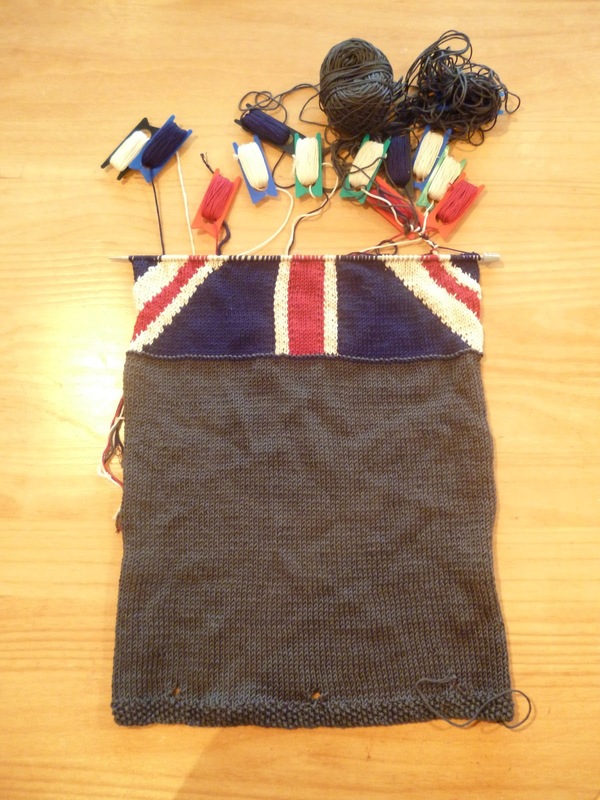 I designed it for our Double-sided Knitting class so I have to be fair to myself. I've cast it on and knit the first 5 or so rows several times to teach. I just need to find time to finish off the original scarf. Add to the list the cabled cardigan (only one seam left) and the rainbow scarf (only the ends to sew in) and it makes a total of 11 WIPs. 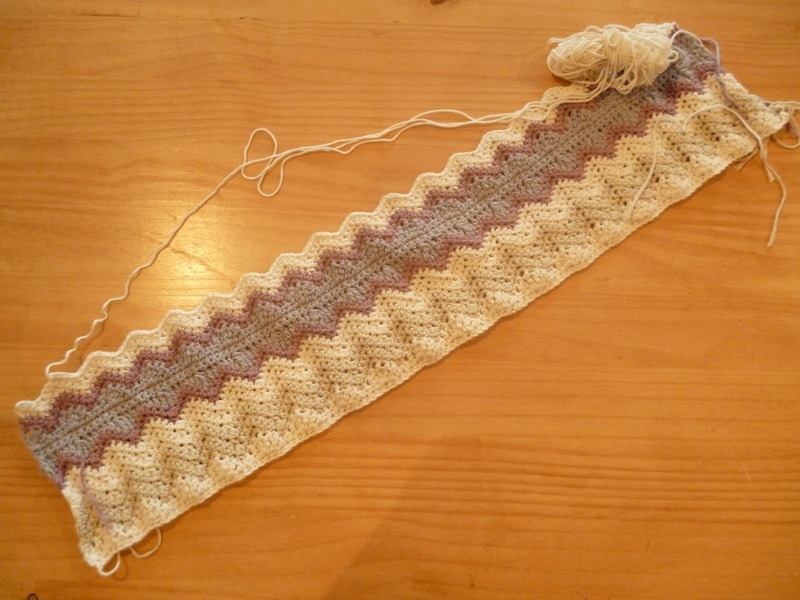 I'm linking in with Tami's WIP Wednesday. Take a look what everyone else is up to. Your projects are all so beautiful! Good luck with all the finishing to go with it. Wow! Lots of great projects. I especially like the Double Sided Bubbles scarf; very interesting and I like the choice of colors.